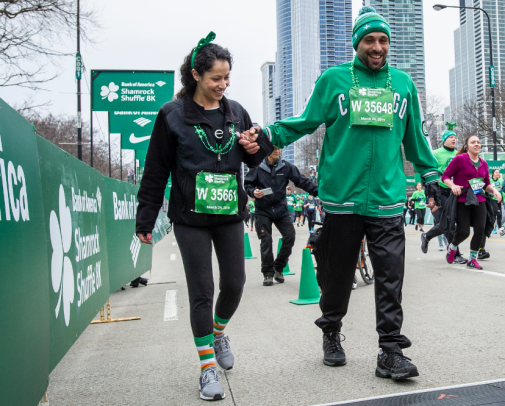 Eduardo “Eddie” Ramirez, his wife and his doctor finished the two-mile walk of the Shamrock Shuffle together in Chicago on Sunday, but their path to the finish line was much longer than that. It all started in April 2017, after Eddie picked up house locks from Home Depot. On his way home, a car ran him off the road, making him the victim of a hit-and-run accident. Thankfully, Eddie had his motorcycle helmet and proper gear on, but it could not protect him from sustaining serious injuries: a bruised lung, concussion and two crushed legs. Eddie was flown to Advocate Good Samaritan Hospital in Downers Grove, Ill., for specific orthopedic expertise to try and save his legs. Dr. Evan Dougherty, orthopedic surgeon, became his physician. 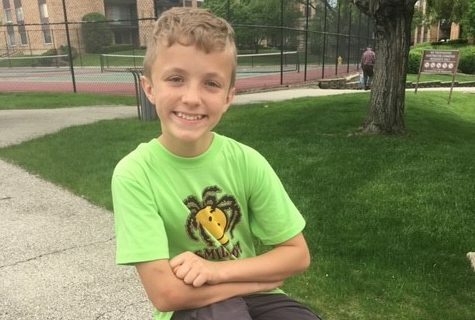 Over the next two years, Eddie had two amputation procedures on his left leg and had at least six surgeries on his right leg, which now has a steel rod for a tibia and a steel plate. 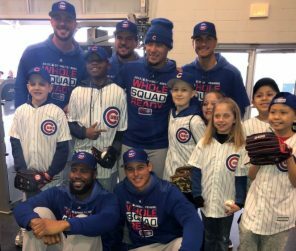 Eddie’s primary doctor was Dr. Enrique “Ric” Saguil, a family medicine physician with Advocate Medical Group in Bartlett, Ill. When Eddie met with Dr. Saguil after his accident, he had a health goal already in mind. 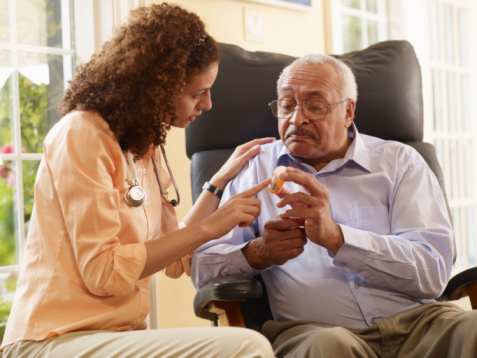 Dr. Saguil was able to help him carefully wean off the pain medications keep him healthy via eating well, using supplements where necessary and teaching him how to use an upper body routine while in a wheelchair in between his surgeries and bone grafts. One just finished last month. Eddie now has a new prosthetic for his left leg, his legs hurt less and he can now stand 50/50 holding onto a walker. 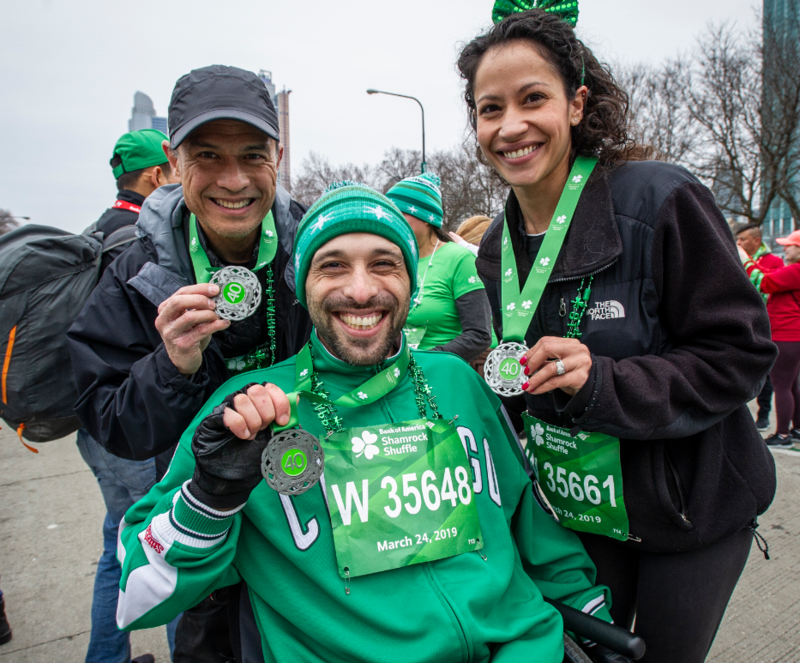 Then, on Sunday, Eddie and Dr. Saguil finished the Shamrock Shuffle together — with Eddie walking the last few steps on his own. 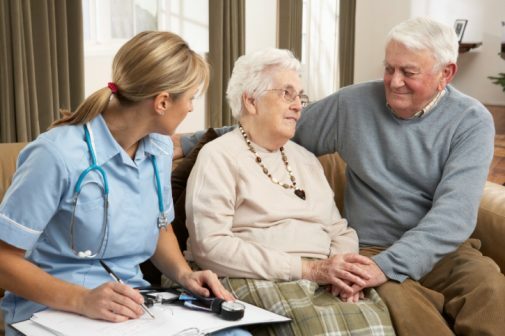 Eddie’s advice for others who have been in a serious accident? ← How accurate are food expiration dates?